Although in 2014-15 this is something which is developing in its significance for schools, it is not something new at Sprites Primary Academy. British values are promoted in much of what we do, during school assemblies, Religious Education, Philosophy and Personal, Social and Health Education (PSHE) sessions. The values are also integral to our vision and values. The British values we espouse are not unique to Britain. We acknowledge that they differ in no way from the values of the many countries and the cultural backgrounds represented by families at Sprites. As a school, we value and celebrate the diverse heritages of everybody at Sprites. Alongside this, we value and celebrate being part of Britain. In general terms, this means that we celebrate traditions and customs in the course of the year; for example, Harvest Festival during the autumn term and trips to the pantomime in at Christmas. We also value and celebrate national events, a recent example being the 100th anniversary of the start of World War One. 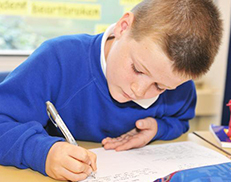 Children, parents and staff have many opportunities for their voices to be heard at Sprites Primary School. Democracy is central to how we operate. An obvious example is our School Council. The election of the School Council members reflects our British electoral system and demonstrates democracy in action: candidates make speeches, pupils consider characteristics important for an elected representative, pupils vote in secret using ballot boxes etc. Made up of two representatives from each class, the School Council meets regularly to discuss issues raised by the different classes. The council has its own budget and is able to effect change within the school; in the past, the School Council has hosted visits from the Member of Parliament, the Mayor and other honoured guests. 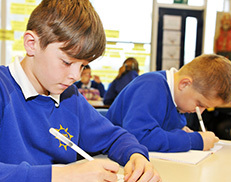 The Council are actively involved in recruitment and in providing teachers with feedback. Parents’ opinions are welcomed at Sprites through methods such as questionnaires, surveys at parents evenings, working groups for areas such as review of the Equalities Single Plan and opportunities to comment on weekly newsletters. Sprites Primary Academy serves an area which is culturally diverse and we are proud to promote and celebrate our different backgrounds and beliefs. 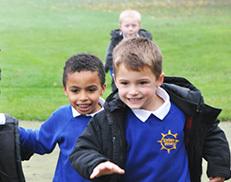 Tolerance, politeness and mutual respect are at the heart of our aims and ethos.